What does the legend of Vlad the Impaler have to do with the modern world? Is it possible that the Dracula of myth truly existed—and that he has lived on, century after century, pursuing his own unknowable ends? The answers to these questions cross time and borders, as first the father and then the daughter search for clues, from dusty Ivy League libraries to Istanbul, Budapest, and the depths of Eastern Europe. In city after city, in monasteries and archives, in letters and in secret conversations, the horrible truth emerges about Vlad the Impaler’s dark reign—and about a time-defying pact that may have kept his awful work alive down through the ages. Vampires. Books. Libraries. Dracula. The Balkans. Several historians hunting a legend which might turn into their own death. What could go wrong? Well, the sad answer is: practically everything, from the beginning to the bitter end. A sea of infodumps. Two-dimensional characters without one single redeeming trait. Unbelievable romance. Uninspired plot. Unreadable dialogues. No sense of humour. Many mistakes concerning the alleged historicity. Even more mistakes concerning the way REAL historians think, reason, and conduct their studies. Completely absurd heroines. Completely absurd heroes. Finally – and believe me, it was the final drop of bitterness – Vlad III Tepes a.k.a. Dracula turned into a boring cutout of a vampire cliche, based most likely on Hollywood cheesier movies. It was so defamatory I was toying with an idea of a lawsuit. Seriously. A total failure in a form of meandering, slogging, hair-pulling, mess of a read. I DNFed it – be sure to be wiser than me. 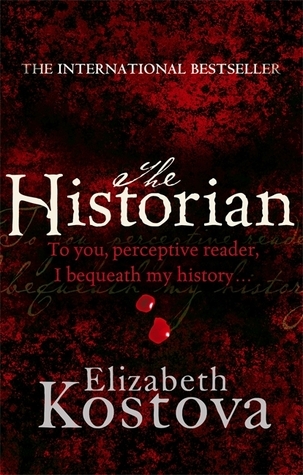 This entry was posted in a total failure, adventure, book review, fantasy, historically-flavoured, horror, rating and tagged a hero too stupid to live, a stupid heroine, a total failure, boring, dracula, elizabeth kostova, infodumps, the historian, vampires. Bookmark the permalink. 😀 no surprise at all! Well, at least you know what to expect. Decision is yours.